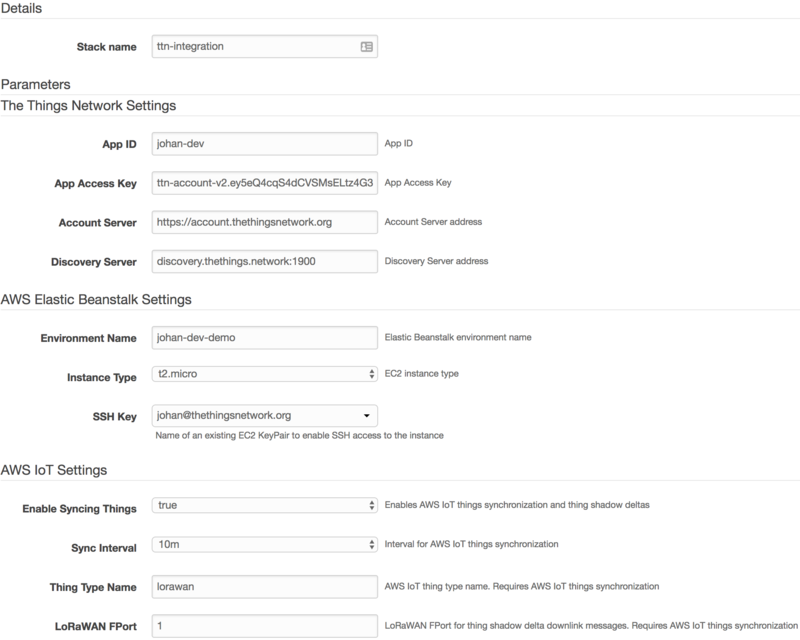 This guide will walk you through setting up the AWS IoT integration using CloudFormation: an easy process to configure one of the most advanced integrations for The Things Network. The App Access Key that you enter should at least have the messages and devices rights. The awseb-... stack is an AWS Elastic Beanstalk stack that is created as part of the stack of the integration process. 🎉 You have now successfully configured the AWS IoT integration! See the guides on the left to learn working with the thing registry, test messages, thing shadows, act on data, view metrics and update the integration.